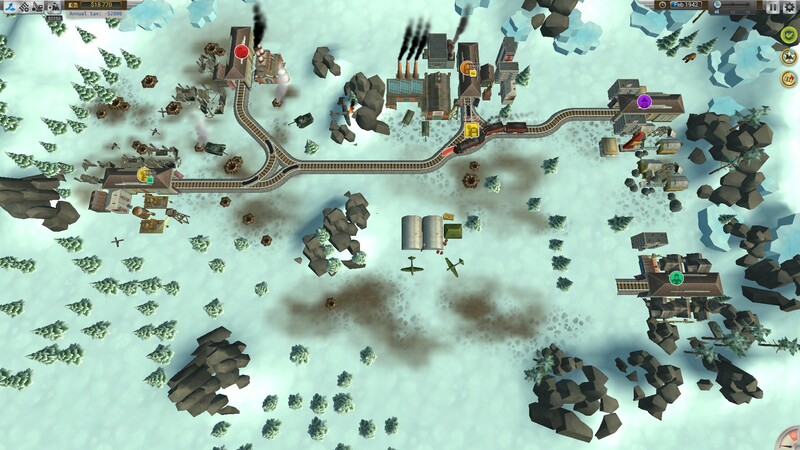 Train Valley is a puzzle game from indie developer Oroboro Games. 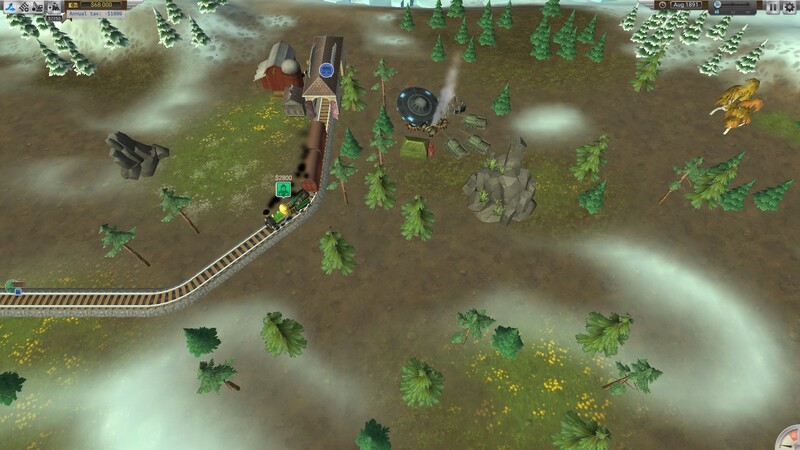 Players progress through seasons running their train company by building tracks, demolishing obstacles, and most importantly directing trains to their proper destinations without crashing into each other. Before we begin the proceedings, I’d like for the jurors to review the previous case materials. OK, let’s get the obvious stuff out of the way now. This is not a tycoon game. Say it with me now, this is not a tycoon game. OK, if you’re OK with the previous statement then proceed. If that turned you off, stop here; we thank you for the click, and we hope you enjoy your day. 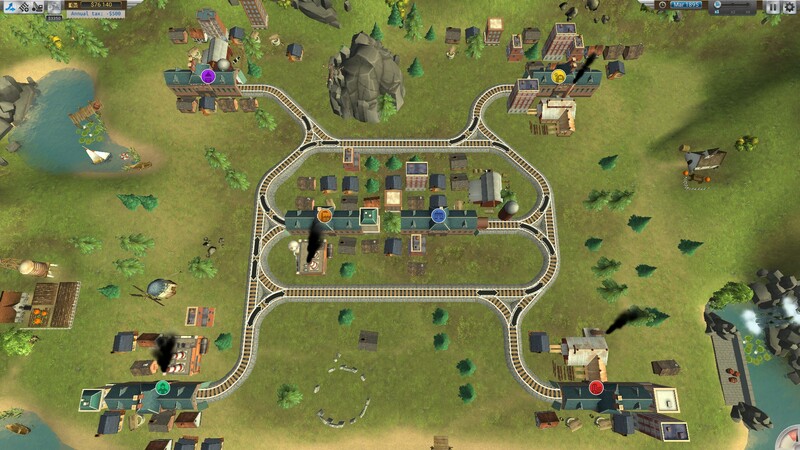 Train Valley is a puzzle game with a train theme. 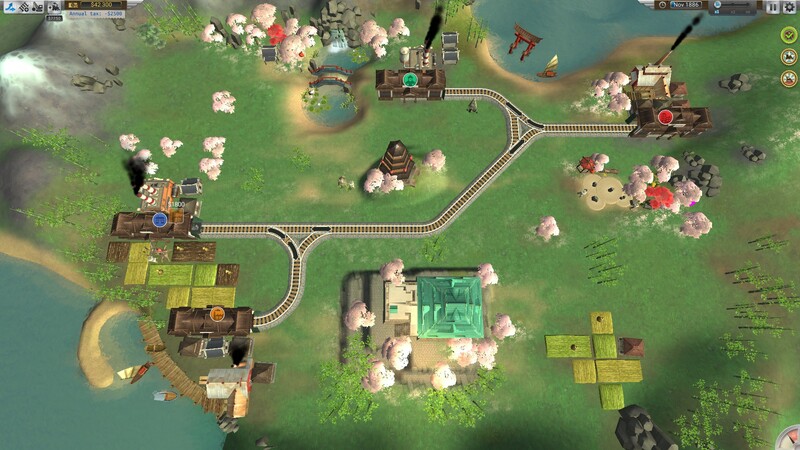 Players are given a limited budget, and a limited amount of time to complete various stage objectives before progressing to the next stage. 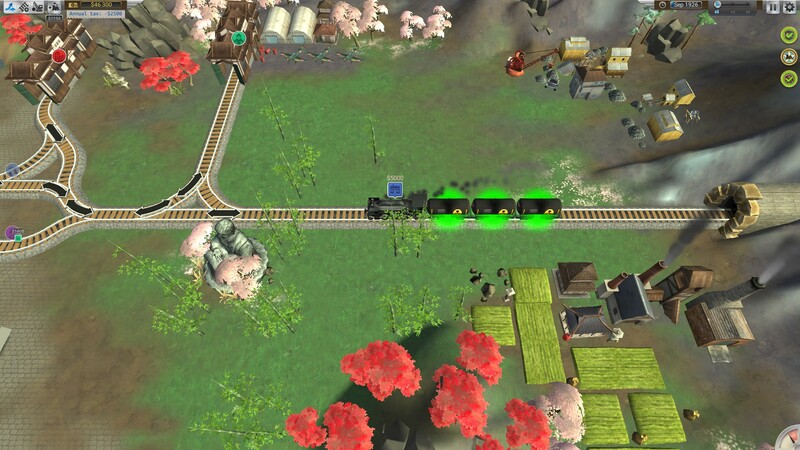 Objectives are things such as completing a stage with no crashes, successfully delivering a set number of extra trains over the stage minimum, making a certain amount of money, building a certain number of track, pieces, etc. An ideal track setup. Triangles are your best friends. These objectives, as well as the stage layouts, vary a good deal to provide players with plenty of variety as they progress through the game. Annnnnd, that’s all there is to it. This isn’t a game where players are given an abundance of things to do and manage. This is a game that gives player a small list of things to do and a solid interface for getting them. TV does the few things it does very very well, and your enjoyment of the game is going to be entirely dependent on how much you like the core mechanic. Build tracks, destroy tracks, dispatch trains, and control track switches. Rinse and Repeat. Performance is fine, as the game is really lightweight. So lightweight in fact that the only graphical setting of consequence is a resolution slider. At the time of this writing, the developers have a note that the game may crash running on Windows 10 so be warned about that and use the demo. 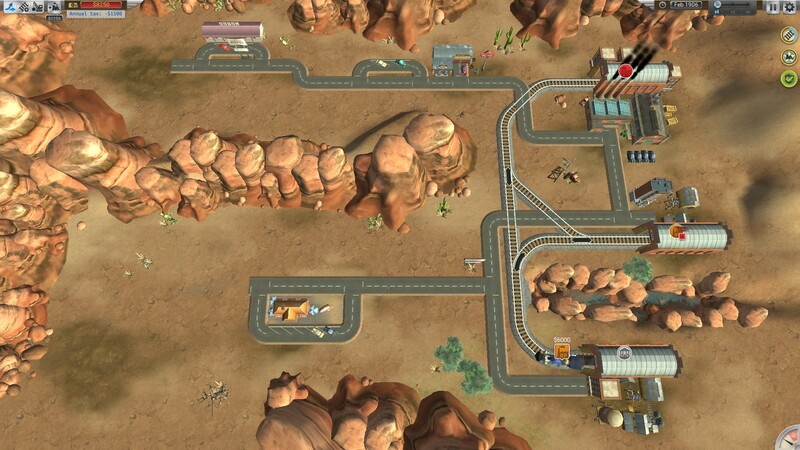 Train Valley does what it does very well; and it’s a good thing that it does, because what it does well is the only thing it does. This is very much a focused experience. 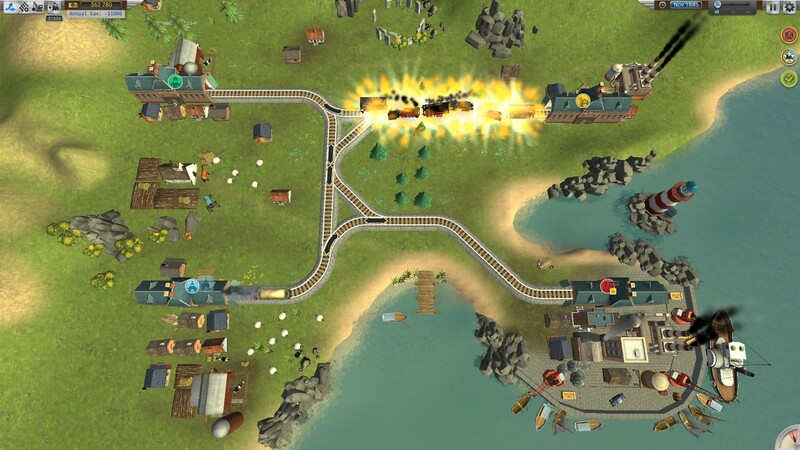 It’s a puzzle game with a train theme, not a train tycoon game with some puzzles. The difference is tremendous, so definitely play the available demo if the premise of a train puzzle game doesn’t immediately sell itself to you. Solid mechanics: The concept is simple in idea, and pretty sophisticated in execution. A puzzle game with multiple organic solutions. Strong Replayability: You can almost always go back to a stage and do it differently and/or do it better. There’s also a somewhat limited “sandbox” mode which removes some of the classic modes constraints. It’s puzzling: This is a puzzle game at heart. You may or may not like it, even if you do or do not like trains. Graphical settings: Yeah, I’m nitpicking, but there is a distinct lack of graphical options. Game could at least use an anti-aliasing setting of some sort. 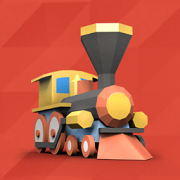 Fun puzzle game with a cool train aesthetic. 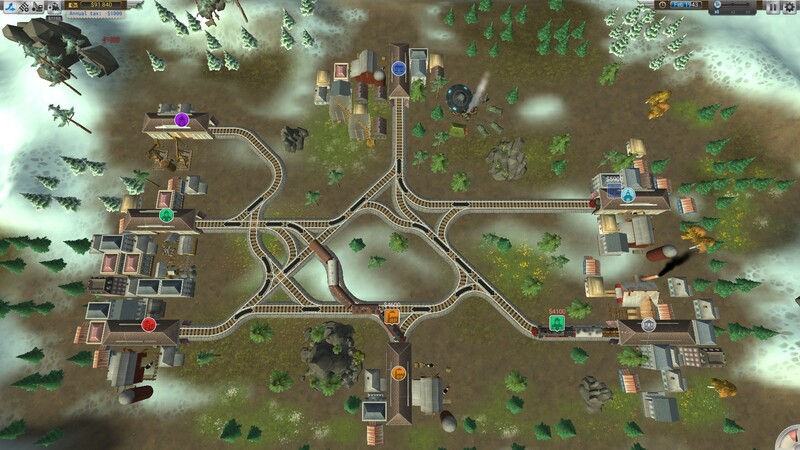 Whilst city building sims may be the most well-known, well publicised and, generally, well received in the construction sim genre, it’s worth bearing in mind that there’s a thriving (albeit far more niche) subset focused entirely around trains. Like a digital cousin to the real world Hornby train model kits that rake in ludicrous amounts of money from a discerning crowd that is far more well adjusted than most people give them credit for. I’ve never really understood the appeal personally, though I know that comes largely down to the fact that building the 1/12 replica tracks and stations is an expensive endeavour. 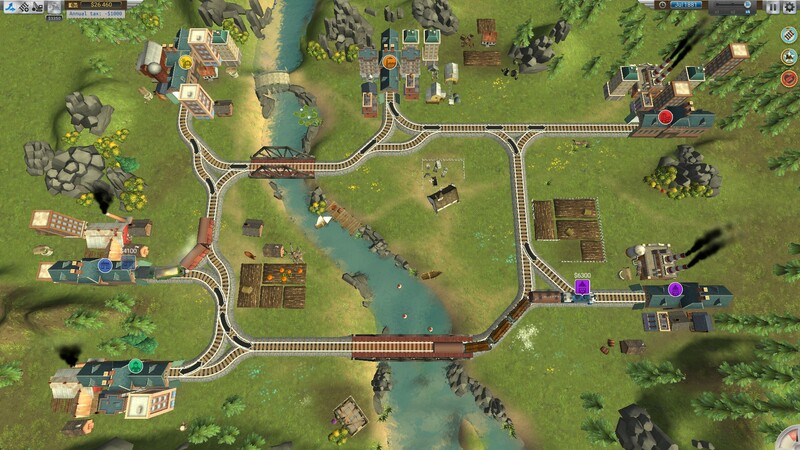 So something like Train Valley makes for a much cheaper and still highly engaging alternative. There are certainly “better” options out there. By which I mean more complex and highly detailed. But such complexity comes with the downside of a steep learning curve and an initial lack of pick up and play appeal. You really need to know the way the game works before you can just jump in and whittle away a few hours. 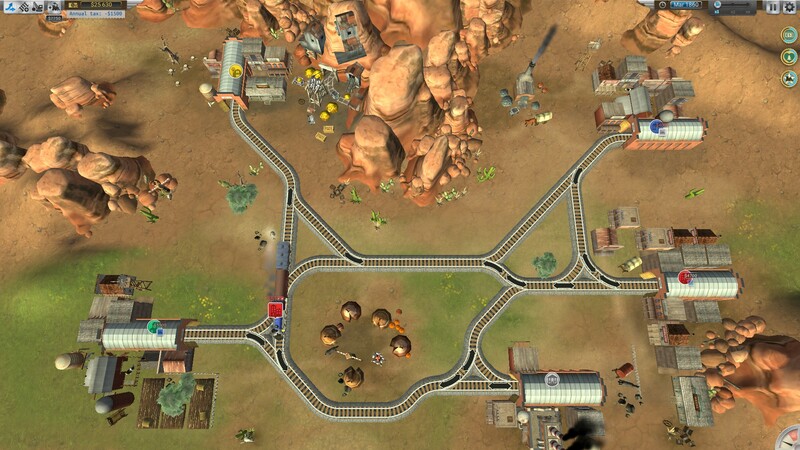 Whereas, in Valley’s case, it’s more like a light, though decidedly not easy, puzzle game that just happens to involve trains. Something which, on the surface seems a bit “eh”, but can rapidly become extremely addictive. 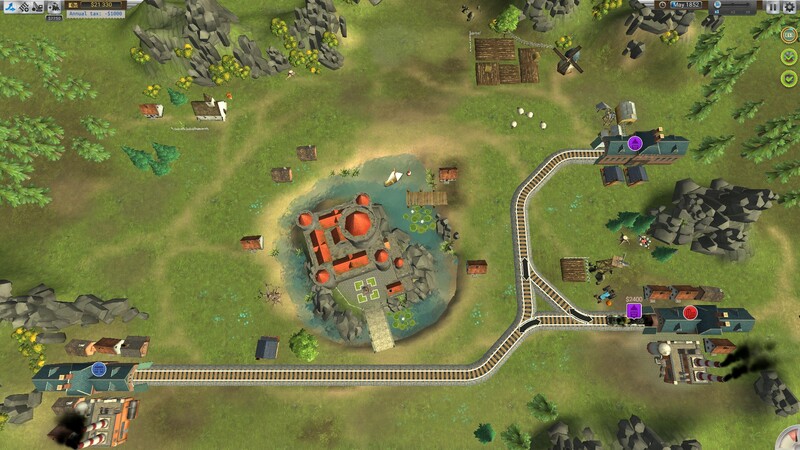 Each stage is small, with three goals such as not allowing trains to crash, or ensuring none arrive at the wrong station. 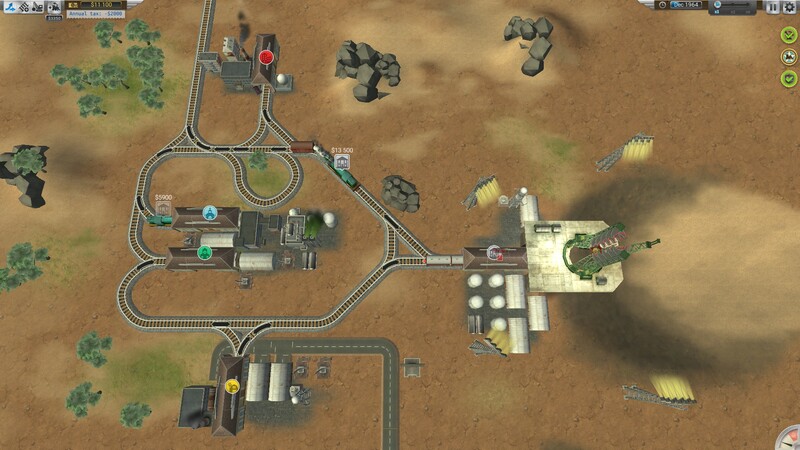 But none of these are required to actually finish a level, you just have to make enough money (by having trains reach their destination) to unlock the next stage. However, knowing that you just missed that one objective on your previous attempt makes for a great impetus to return and try it all over again. To the extent that you will, like I did, undoubtedly find yourself looking at the clock wondering what happened to the last six months (yay for hyperbole!) and puzzled that people are now offering you lucrative contracts as a supermodel because of all the weight you lost. 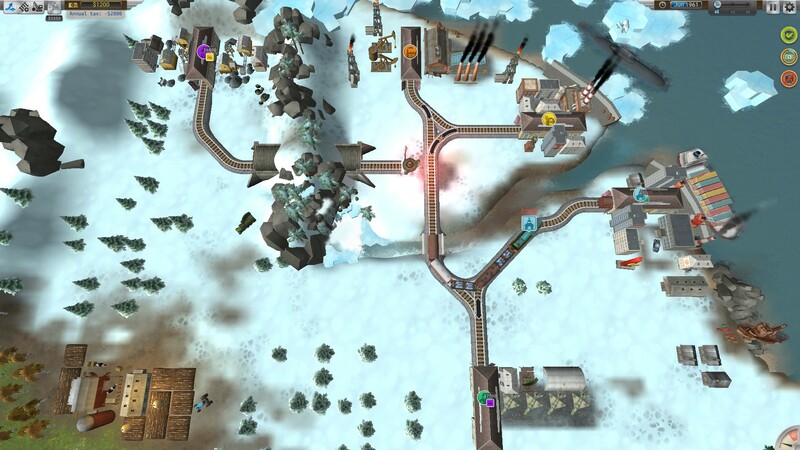 Or, if you prefer, it’s a really easy to pick up, but deceptively deep train track building puzzle sim that is a treat to whittle away some spare time, when you just want to play something for the sake of playing. Add to this a sandbox mode and you have yourself a fun little game indeed. When it comes to management simulators, there's two distinct ends of the spectrum: One that allows you to create self-sufficient systems that, if done right, can be run for however long is needed without any sort of user input. The other is one that involves heavy amounts of micromanaging and making little tweaks here and there, and is essentially a hectic plate spinning act where you have to constantly be spinning the plates or they will all fall down and break. 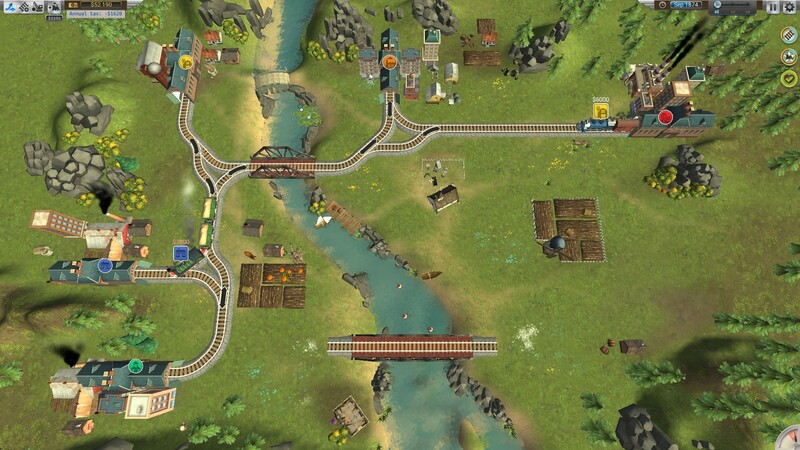 While I am a bigger fan of the former, Train Valley is a game that sits firmly on the latter end of the spectrum. It is truly a game where if you are not sure to keep each and every plate spinning, they will all come tumbling down. That isn’t really to say that it's all together a bad game. Just one that makes it difficult for me, personally to enjoy. 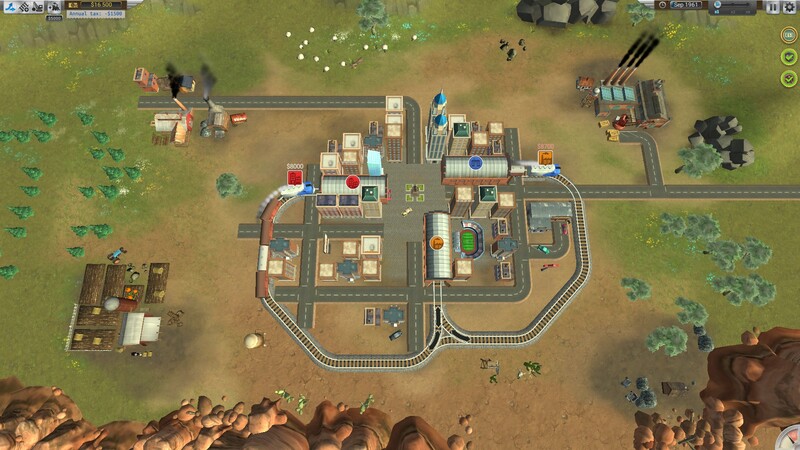 In Train Valley, you are expected to manage railway building, railway switches being the correct direction so that trains go the way you’d like them to, train departures, and a whole bunch of other things. If things aren't running as smoothly as possible, you’ll find yourself a having a hard time. This is another problem that I tend to have with lots of micromanaging is that if I’m not doing things perfectly, I tend to just restart. Anyway, enough about how I personally feel about the game. Would I say that it accomplishes what it's trying to do and is well executed? Very much so. 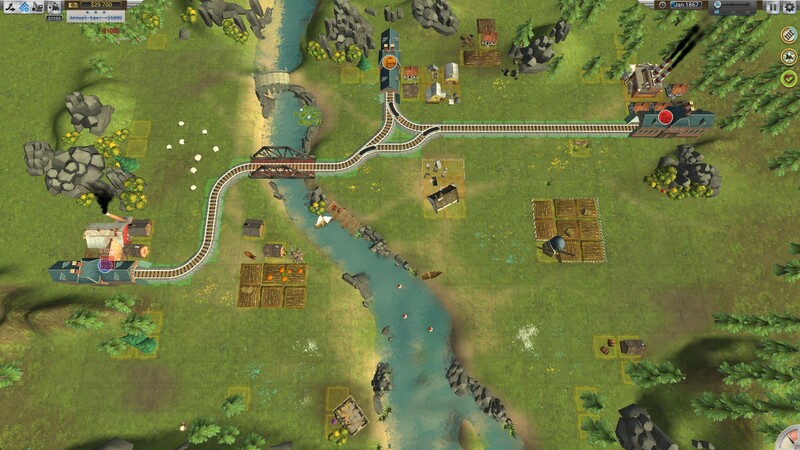 If you are the kind of person who likes to micromanage and you are looking for some smaller game to kill some time, I’d give Train Valley a hearty recommendation. For what it sets out to do, it does so very well. 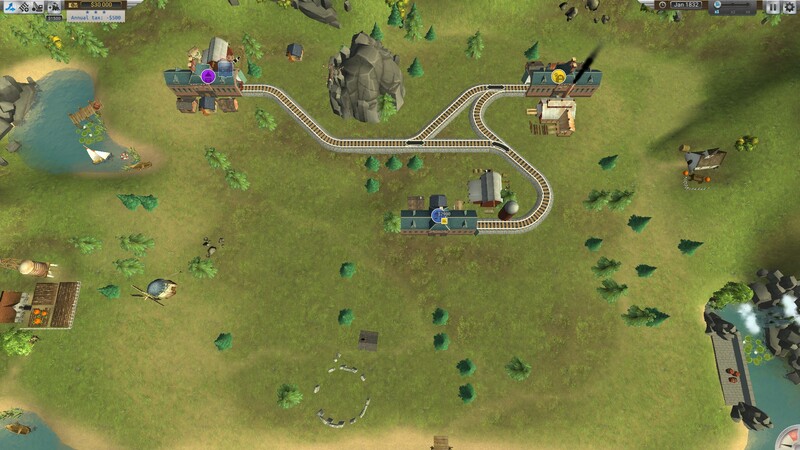 Even despite how I feel about micromanaging, I still managed to have a fair bit of fun with Train Valley, because it can feel downright satisfying to have things working smoothly until you beat the level. So all in all, check it out if you’re into that sort of thing, and possibly if you aren’t just to give it a shot. 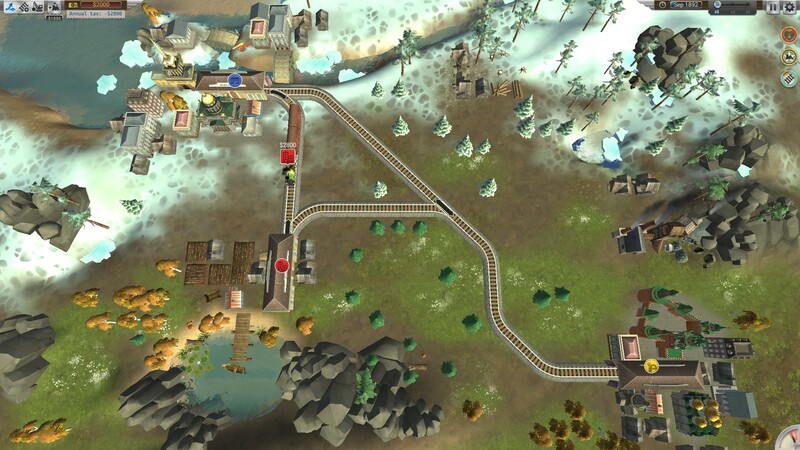 « Train Valley Now Entering Early Access Station!« Trains Coming to a Valley Near You September« All Aboard Train Valley!